Yesterday Australian entrepreneur, Nick Jenkins (詹宁锴) talked about starting the e-learning business "Language Confidence" in China. Nick talked about his founding an education start-up at Telstra's Muru-D Start-up Accelerator, but then changing from trying to sell education on-line direct to consumers and finally concentrating on selling testing services. He was frank about the difficulties of doing business in China, but pointed out the potentially large rewards. This raises the question of how higher education can assist such entrepreneurs. Apart from provided some basic education in the mechanics of business, which I suggest can be done on-line, courses could allow students to integrate their practical experience. I asked Nick about this and he related how he was not permitted to use is direct practical experience of leading a multi-national team in assessment for a business course (in contrast I encourage students to use their work experience). 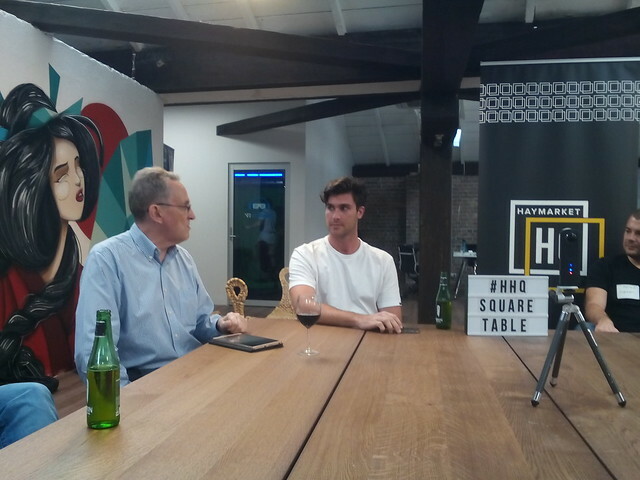 Nick was interviewed at Haymarket HQ (HHQ) in Sydney, by Terry Hilsberg. 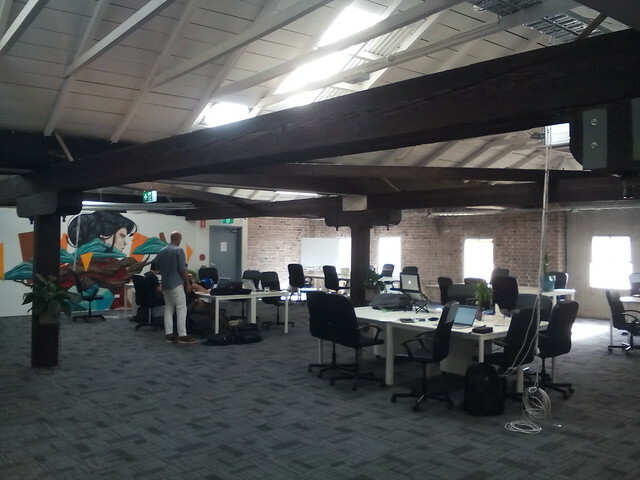 HHQ is a new coworking space located in the loft above a karaoke bar in Sydney's Chinatown, to help start-ups targeting Asia. Terry will be speaking at the next HHQ Square table event about his work with Innohub.io (Shenzhen). For upcoming HHQ Square Table Events, see the meet-up group.